Worcestershire have brought in Shropshire coach and former Yorkshire left-hander Kevin Sharp to supplement the backroom staff at New Road. Sharp, 55, was Yorkshire batting coach after five seasons in Minor Counties cricket for Shropshire following the end of his first-class career in 1990. He takes on a similar batting coach role at Worcester, and will also coach the second team and academy players. Shropshire are interviewing and hope to appoint a replacement this week. "We have one or two irons in the fire, " chairman Toby Shaw told BBC Radio Shropshire. Worcestershire have had a succession of other success stories from Yorkshire. The most notable are long-serving wicketkeeper Roy Booth, Duncan Fearnley, who later became county chairman during the glory years of the late 1980s/early 1990s and England slow left-arm spinner Richard Illingworth. "We're trying to give an opportunity to a younger coach and have already identified a couple of candidates who might fit that role well. "We're obviously sorry to see Kevin go, but it's a fantastic opportunity for him to get back into the first-class game. "There's a tinge of sadness because he was fantastic for us last season. But we should be very proud as a county that we managed to secure someone of Kevin's qualities. "He's helped the players collectively and individually," added Shaw. "Whilst we had one of our best seasons last year, maybe his real value was all the one-to one sessions with the players he's had this winter, which we hope will come to fruition this summer." 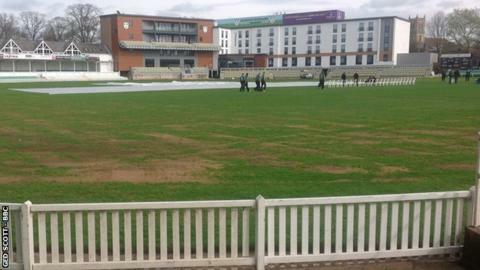 Leeds-born Sharp's arrival at New Road maintains Worcestershire's long-standing association with Yorkshire cricket. Chief executive David Leatherdale is from the same area of Bradford as director of cricket Steve Rhodes, who played alongside Sharp when they were both on the Yorkshire staff at Headingley in the early 1980s. Sharp, who made 8,426 first-class runs in 195 matches in his 15 seasons at Yorkshire, made his county debut in the same Tykes side as Bill Athey, who later became Worcestershire coach. And Shropshire's professional for the 2014 season will be Gurman Randhawa, following the 21-year-old Huddersfield-born slow left-arm spinner's release by his native Yorkshire.